Updated 11:30 a.m. Sept. 26, 2014. Flights in San Diego and across the country are being canceled or delayed because of the Chicago FAA fire, authorities said Friday. 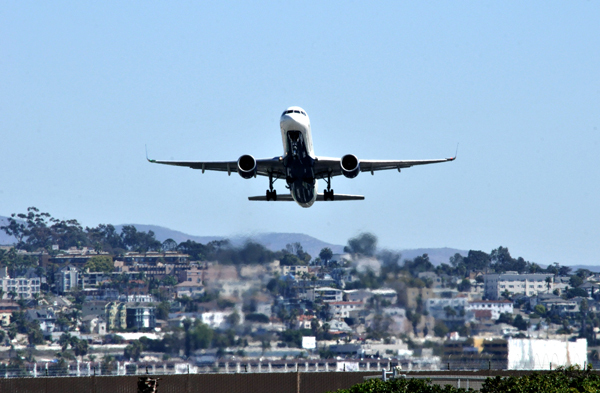 Ten flights between San Diego and Chicago were canceled because of the fire at a Federal Aviation Administration air traffic control facility, according to an official at Lindbergh Field. The cancellations were for flights involving American Airlines to and from O’Hare International Airport, and Southwest Airlines runs to and from Midway Airport, said Rebecca Bloomfield of the San Diego County Regional Airport Authority. Bloomfield said another three flights to and from O’Hare on United Airlines were listed as delayed as of late morning. Travelers can check the San Diego airport website to see if their flights may be delayed or worse by the Chicago fire. An LAX representative says eight flights from Los Angeles International Airport to Chicago have been canceled. Earlier the number of canceled flights had been estimated at 16. The affected carriers were Southwest, American and Alaska airlines, said LAX spokesman Marshall Lowe. The fire, at a west suburban Chicago air traffic control facility, was allegedly set by a contract employee from the FAA, Lowe said. WGN-TV in Chicago reported that for a time all flights in and out of Chicago’s major airports, O’Hare and Midway, were grounded. That totaled 850 flights. A government source told the station that the employee was upset he was being transferred to Hawaii. The fire, which was ignited with gasoline and rags, was called in at 5:42 a.m. Chicago time. The station also reported that some flights had resumed by late morning, but that Southwest would not begin flying out of Midway again until Friday evening.